Homepage / Hard Disk / How to Select Best External Hard Drive? How to Select Best External Hard Drive? An external HD can be useful for a variety of situations. For example, if you feel the need to increase your computer’s storage capacity, but do not feel comfortable to open it and connect a new HD to the motherboard. Or if you want to save your movies, music, and photos elsewhere, so as to leave more room for other files on your machine. Another possibility, still, is if you usually transfer large quantities of bulky files between various machines. Or, even if you want to create a backup of your computer and be able to take it with you wherever you go. The uses that can be made from an external HD are diverse, and this is reflected in a lot of options available on the market. Thinking about it, we quote below the seven factors that you should consider at the time of purchasing an external HD. Hopefully, they will help you choose the most suitable device for your usage pattern! The external HDS on the market can be divided, basically, into two types: external desktop-style HDS and portable external HDS (Notebook-Class). The table’s usually bigger, heavier (hence less portable) but faster and more capacity (able to reach more than 10TB in the most expensive), and some of them require a power adapter-that is, in addition to connecting them via USB, you must also connect them to a power source. 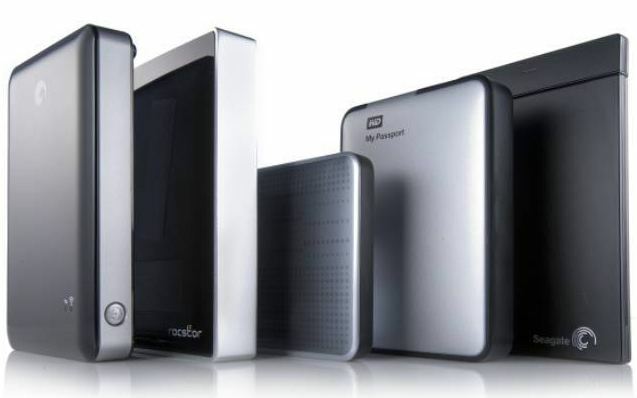 Portables, as the name implies, are smaller and lighter, but have smaller capacity (generally up to 2TB) and a slightly smaller transfer speed as well. The use you intend to make of the external HD will determine which type is most appropriate. The desktops are hard to get around, so they’ll probably be more helpful to expand the capability of a desk that uses a lot of data, to keep an updated backup of large and sensitive files, or to create a kind file or digital repository of photos, videos, and music, for example. A suitable usage type for these HDs would be to expand the storage capacity of an editing island. Now, if you intend to take your external HD to there and here, swapping files with multiple computers, no doubt a portable HD will be more efficient. The sacrifice of storage space and transfer speed is worth the portability and convenience of us you earn with such HDs. The speed of transferring data between your external HD and the computers you connect to will be determined, in large part, by the type of connection you use. Currently, most external HDs have at least USB 3.0 connections, which promise transfer rates up to 5 Gbps (about 625 MB/s, although in practice speeds of around 200 MB/s are more common). Some of them have other types of faster connections, such as USB 3.1, Thunderbolt, or ESATA. Some external desktop HDs also have a WiFi signal, and allow you to connect to them via the wireless internet to send data to it (or receive data from it). These other connectivity options, however, usually translate into a somewhat more salty price. But in some cases, the extra investment might be worth it. There are few external HDs that still have only USB 2.0 connections, and they will only be worth it if the price is considerably smaller (and if you don’t bother waiting). This is because, as it is a device used to transfer large amounts of data, a slower connection will make a huge difference. It is worth remembering that you can only leverage external HD connections if the computers to which you connect them also have connections of that same type! If you intend to use your external HD primarily with a computer that only has USB 2.0 ports, faster connections than that in HD can not be leveraged. When it comes to external HDs, speed and connections are separate issues. For connections, we understand the capability that the HD has to transfer files to other machines (and receive files from other machines). When we talk about speed, however, we refer to the agility with which the HD is able to access data contained therein. This characteristic is usually measured in RPMs, as well as in internal HDs, and, roughly, the more RPMs, the faster the HD. This value tends to rotate between 4200 rpm in the slower and 10000 rpm in the faster (if speeds higher than 7200 RPM, in general, can only be leveraged with faster connections than USB 3.0). This issue is especially important for external desktop HDs. As they often stay connected to the same machine, it does not make sense to transfer his data to the computer before accessing them. A good-speed HD will work almost as a built-in HD on your computer, and allow you to quickly access all of its contents. Here also it is worth remembering that the HD connection with your computer can be a bottleneck. If you connect an external HD 10000 RPM to your computer via USB 1.1, as much as the external HD can read the data very quickly, it will only be able to send them to the computer at a very small fee. In that case, the high speed will end up in the way. Portable external HDDs, in general, possess capacities up to 2 TB, although some manufacturers offer slightly larger (and more expensive) models. The higher the capacity of the portable HD, the higher it will also be its price. But the capability X price ratio is not straightforward: a 2GB portable HD will not cost twice the price of a 1TB. For that reason, if money is not a limiting factor, it is worth investing in greater. Otherwise, look for something that meets your needs. If you do not usually move larger files of 10GB and does not matter to keep many files stored at the same time, it may be more efficient to buy a pen drive of great capacity than investing in an external HD. On the other hand, if you want to save your entire digital life on one device, it may be worth sacrificing portability on behalf of a larger storage capacity and investing in an external HD table, which can reach more than 10TB capacity-although it comes with an appropriate price to its size. You must also pay attention to the operating system of the computer (s) to which you try to connect your external HD. Windows and Mac work with different file systems (NTFS and HFS + respectively), and for this reason, most manufacturers offer specific models for each platform. backup software and usage guides that often come with external HDs are also thought to one of two operating systems, so that should also be considered. Macs can even read files from an HD on NTFS but, natively, they can’t write files on them. You will need to install a separate program on your Mac, such as NTFS-3g if you intend to use the same HD to transfer files from one system to the other. If this is a crucial issue for you, it might be worth searching for some storage service in the cloud that allows you to circumvent this difficulty. For Linux users, all Windows-compliant external HDs should work normally. In the case of Mac-facing HDs, it may be better to check with the store before purchasing. Some external HDs provide software or hardware-based encryption options. If the protection of the data contained in the external HD is something essential, the most appropriate are to invest in a device that has hardware-based encryption. The difference between hardware-based encryption and software is that software-based encryption utilizes the capabilities of the computer to which it connects to encode the data. Thus, a device with this type of protection will only be as safe as the computer to which it is connected. Hardware-based encryption HDs, on the other hand, have a chip dedicated to coding the information contained in it. With that, they’re not at the mercy of the machine they connect to. The dedicated chip also prevents data security from disrupting HD performance when transferring data. Just as there are internal and external HDs, there are internal and external SSDs as well. External SSDs offer the same benefits in relation to HDs that their internal versions: are faster, lighter, and more shock-resistant. They also offer the same great disadvantages: they are much more expensive. When it comes to an internal storage device, the high price of the SSD is compensated by the much higher speed of it, which will be translated into a much faster performance of your PC. But, in dealing with external devices, this advantage does not appear as much: the top speed of the SSD will probably bump into some bottleneck, such as the speed of the connection through which it connects to your machine. Unless you have a leading edge connection such as Thunderbolt, the difference between an external HD and an external SSD will hardly be visible. So, as a rule, it’s better to have an SSD inside your computer than out of it, unless you own high-end connections and don’t bother with the considerable investment that it will entail.